This freshly remodeled & expanded mid-century modern home is perched above Beach Drive & moments from I-495 & downtown Kensington. The grand front yard features a circular driveway with a drive-thru garage & the backyard is just as spectacular with multiple patio areas for entertaining. Upon entering the home, your eyes are immediately drawn to a wall of low e-windows that showcase the secluded backyard, followed by the curved staircase, & oak floors with a medium walnut finish. The main attraction in this open floor plan is the show stopping kitchen complete with Viscount white granite counter tops, solid wood cabinets with soft close drawers, a Thor 36′ 6 burner gas range, brass fixtures, instant hot water & an expanded bar with wine cooler. To finish off this move-in ready home – the master suite addition on its own level! Please, send me more information on this property: MLS# MDMC649508 – $1,499,000 – 3550 Raymoor Road, Kensington, MD 20895. 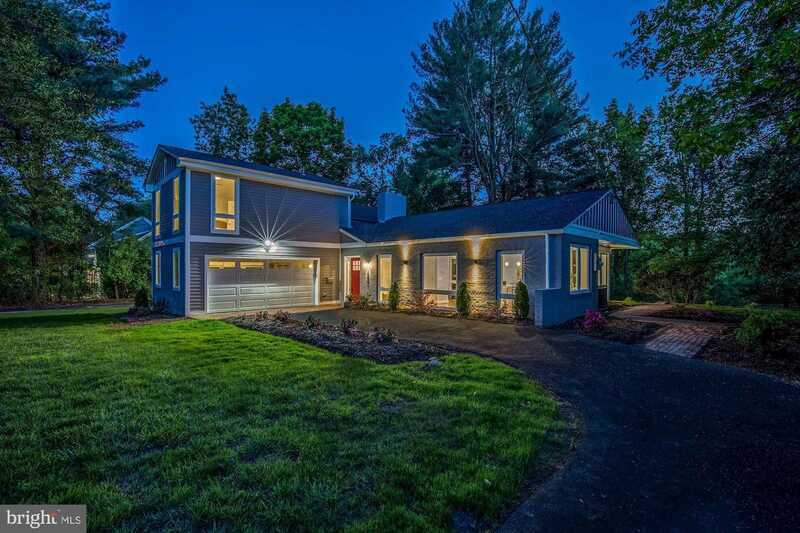 I would like to schedule a showing appointment for this property: MLS# MDMC649508 – $1,499,000 – 3550 Raymoor Road, Kensington, MD 20895.